Forget overly sweet and rank average Butternut Squash soup, this roasted affair is lively with the taste of fennel and sage! My roasted butternut squash soup is a recipe that I developed to dispel the notion that I don’t like all things ‘pumpkin’. For years the only exposure I had to squashes were nasty insipid and overly sweet pumpkin soups that pretty much made up my mind that I did not like pumpkin at all! However a couple of years ago I decided to give them another chance to see whether I could find a use for them if I planted them. Well regular readers will now know I have more than a few Pumpkin recipes that I am rather fond of. My tipping point was a pumpkin chili that remains a stalwart favourite. I spent a lot of time trying to create my butternut squash soup and decided very quickly that roasting the beastie was the way to go for me, I think it drives out some of the moisture and intensifies the flavour and mellows out some of the sweetness. I binned the ideas of traditional ‘pumpkin flavours’ of nutmeg or cinnamon and bought in two flavours I love with pumpkin. Aniseed in the form of fennel seeds and sage which I think works so incredibly well. Blitz it all together and pass it through a fine sieve and you have a wonderfully silky smooth roasted butternut squash soup. All in all a very suitable and apt dish for the final pumpkin from my 2015 harvest, such a simple vegetable to grow. Granted it needs a little space but we got a great harvest that has lasted through winter in a darkened cool room and they are every but as good now as they were when we harvest last autumn! Those keen eyed amongst you out there will notice I make a brief cameo appearance in this post, bonus points for guessing where. By the way of a hint, yes I was standing on my dining table 😮 It is just another one of those daft things us food bloggers do in order to get a picture. Make incisions in the cut side of the squash flesh and force in 3 garlic cloves into each. Place the butternut squash into a baking tray skin side down along and drizzle with the olive oil, season with a little coarse sea salt (1/2 teaspoon) and lots of black pepper and place in the oven and roast for 1 hour. Whilst the squash is roasting place the diced carrot, celery and onion in a pan with 1 Tbsp cooking oil and allow to sweat down slowly for 20 minutes with a lid on with the sage leaves and fennel seeds. Meanwhile scrape the flesh from the roasted squash and squeeze the pulp from the roasted garlic then mash with the back of a fork and place in the pan with the onion, celery etc etc. Remove from the heat and blitz with an immersion blender or place in a blender whilst incorporating the vegetable stock. Test for seasoning and add more salt and pepper as required. I like to then pass this soup through a fine sieve in order to end up with a silky smooth soup although this is optional. I like to bruise some small young sage leaves and finely chop and sprinkle on top of this soup. 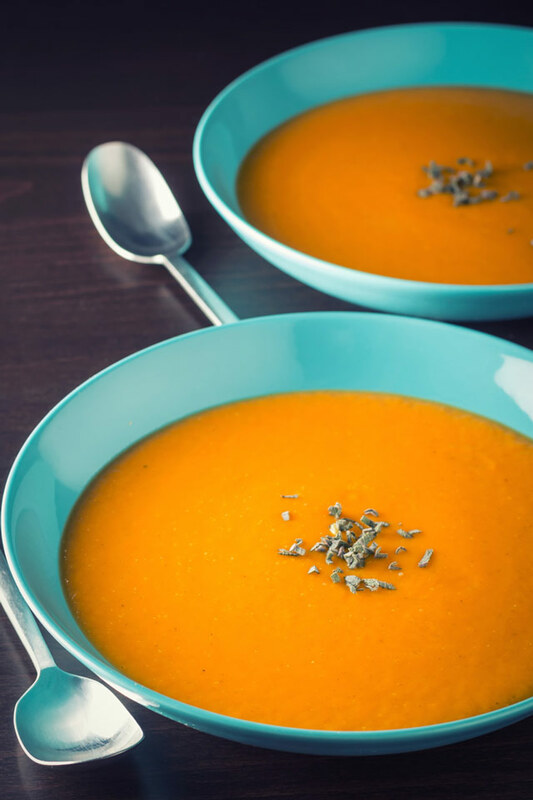 I love the taste of roasted squash or pumpkin, so I’m sure this soup tastes divine. Gonna put it on my to-do list! Oh, yes, absolutely a winner! One of my top favourite soups – roasted everything and the fennel seeds adds so much more flavour – an absolutely superb recipe Brian! Delliccciosso! Thanks Ramona, I love the taste of fennel. This is one of my favorite soups. It’s so filling and satisfying. I’ve never used fennel seeds in it, but I bet roasted fennel itself would be awesome in it. Roasted fennel would work wonderfully too, I often use it other soups… However it does not store too well so the season is short. Oh, come on, man! 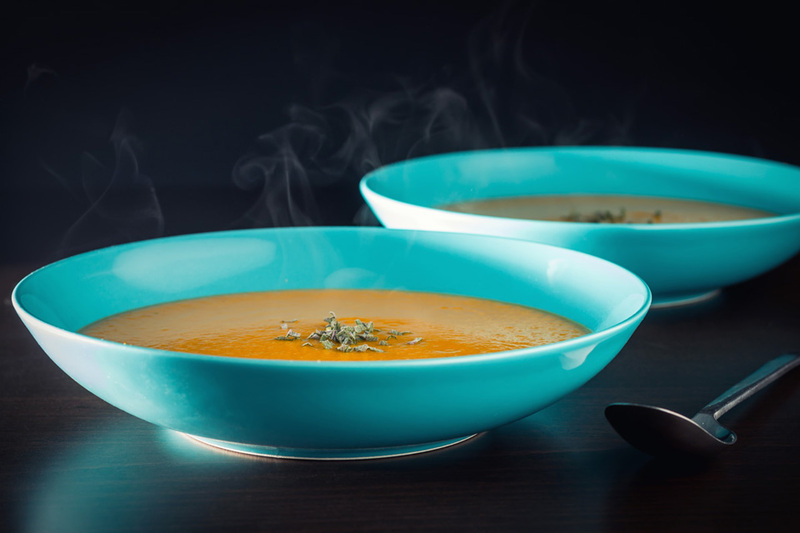 Such a fantastic soup recipe! I would have never thought about pairing butternut squash with fennel. Yum! I love the fennel flavour, I think the aniseed notes go really well with the sweet earthiness of pumpkin. Looks like I need to try this soup out… I always think I hate all things pumpkin too, haha!! 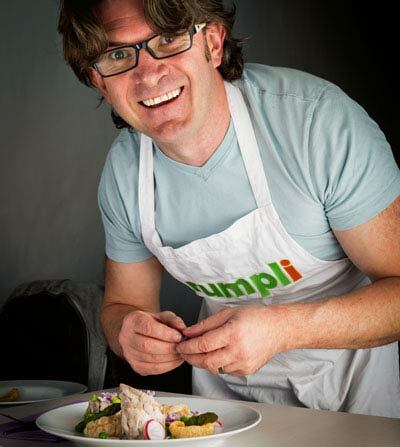 I have become a pumpkin convert over recent years, not having a sweet tooth I often used to find pumpkin dishes way too sweet for me but am slowly getting savoury dishes just about right. 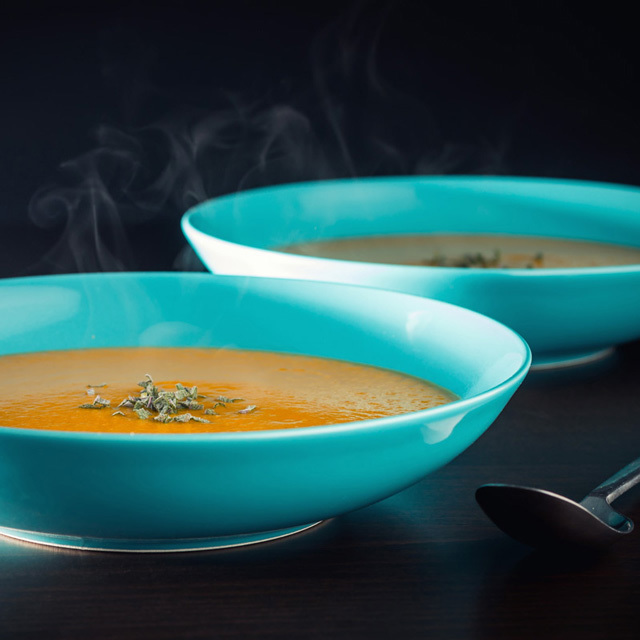 I’m still trying to find ways to ‘like’ pumpkin too, but this soup looks absolutely beautiful and tasty!! Glad you shared! I think the flavours work really well, and provide a different slant to a pumpkin dish. I’m so glad you roasted some garlic along with the squash! That’s one of my favorite combos. This soup looks divine! I’m glad you avoided the cinnamon too. I’m not really a fan of cinnamon and pumpkin in savory dishes either. Nice cameo, very Alfred Hitchcock of you. One of my most favourite soups ever!! I love butternut squash and sage together!! Perfection! Thanks Cassandra, with you on Sage and Squash a lovely combination. the spices combo here are totally new to me, it sounds delicious: MUST TRY!!! Thanks Claudia, they are not completely new but they are definitely more unusual than the typical nutmeg and cinnamon but I thing they work really well. 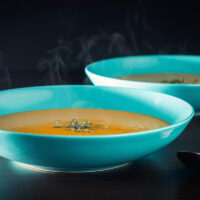 Roasted squash soup is one of my all time favourite soups! Very delicious!